It was not long ago when we had to go to a brick and mortar store to recharge our mobile phones. Past few years provided us with the opportunity to recharge our cell phones using debit and credit card at any hour, on any day, and from anywhere. However, these recharges were limited to domestic network providers. They didn’t include international numbers. Today, a person residing in one corner of the world can recharge the cell phone of his loved ones living in another corner of the world. International mobile recharges are no more a thought of the future but a revolution of the present. Arax offers the facility of domestic and international mobile recharges in 160+ countries for 900+operators. Check the countries here Not just that, it has gone a step ahead and allows you to do Mobile Top-up using cryptocurrency. By doing this, Arax has provided utility to cryptocurrencies that were viewed as mere investment option till now. It is a simple way for the crypto community to perform instant online mobile recharges using their preferred digital assets. Mobile Recharges can be done by following these simple steps. Step 1: Open the Arax app by entering your 6-digit PIN, open the side menu and select ‘Mobile Recharge’. Step 2: Fill your mobile number, select the suitable plan from the list and press the ‘SUBMIT’. Step 3: Select the cryptocurrency, enter your Master Password and click ‘SUBMIT’. Enjoy the instant, hassle-free and crypto experience of mobile recharges. Like a true Aquarius, LALA is progressive, original, independent and humanitarian. February was a great month as we managed to accomplish what was planned for our global community and we can’t be more proud of the team. Let us take a quick look back. The response received by Arax Crypto Wallet has been tremendous which is evident from the positive feedback and reviews. Arax reached its 2500+ download mark within a month of its launch that speaks volumes of its growing popularity among the crypto fraternity. The month of February now past, the spirit of team Arax continues to remain high and motivated . We are putting in our best efforts to bring to you more services, real partnerships, and news that will benefit you and the entire crypto market. We extend our heartfelt gratitude to our community for your undying love and support. The zeal to serve you is what keeps us moving forward. We will bring to you more updates until then stay tuned. 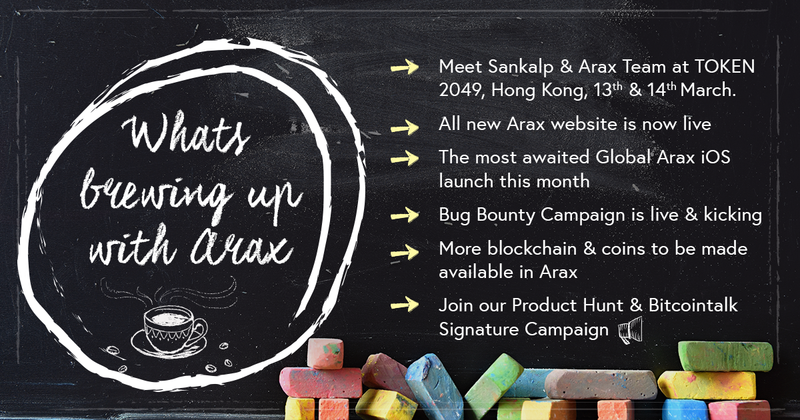 With very high spirits and rush of excitement, Arax team has another announcement for you. Arax- Your Universal Crypto Wallet, is steadily moving forward and growing its platform with every passing day. We have brought to you another addition in the list of Arax supported crypto coins. Staying true to our promise of adding new coins, we are elated to announce the addition of DAI Stablecoin in Your Universal Crypto Wallet. DAI Stablecoin derives its name from the value stability it offers which is relative to the US Dollar. It is a collateral-based cryptocurrency that is completely decentralized. It also offers the opportunity to earn a steady, low-risk return on DAI holdings using a special mechanic termed as the Dai Savings Rate. The value of DAI is backed and stabilized by a smart contract platform on Ethereum known as Maker. It utilizes a dynamic system of Collateralized Debt Positions (CDPs), autonomous feedback mechanisms and incentivized external elements. Anyone can leverage their Ethereum assets on the Maker Platform to create DAI. DAI offers the same facilities that are offered by any other cryptocurrency. These include using them as a mode of payment, trading and a long-term investment option. The creation of DAI results in the generation of the components required for a robust decentralized lending platform. 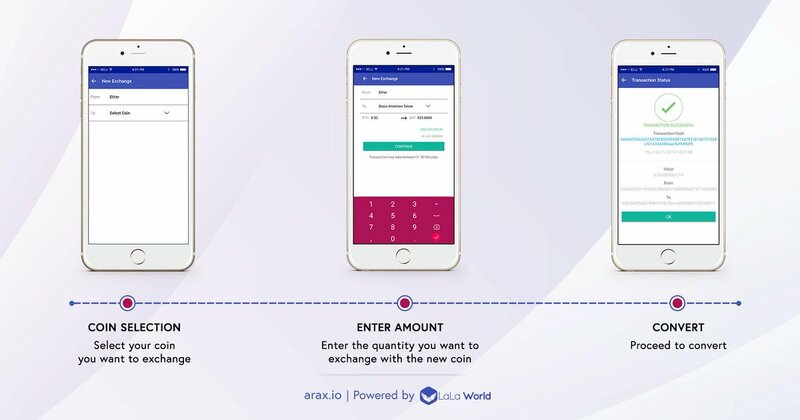 Arax also offers various in-app services including mobile bill payments & recharges via cryptocurrencies, instant cryptocurrency conversions, and remittance (to be live soon. You can also send crypto with its star feature “Nearby” via GPS without any fee. It is a single storage app for multiple digital assets that gives each user true immutable ownership. We are making new announcements with each passing week. Stay updated with the latest developments of Arax by following us on our social media channels. We extend our heartfelt gratitude for your continuous love and support. What mass adoption of cryptocurrency will look like? Cryptocurrencies are around for almost a decade now. What Satoshi Nakamoto (the creator of Bitcoin) mentioned in the paper as “chain of blocks” has now become “Blockchain”, a term which has created its own space in every industry in less than five years. In this duration, we’ve seen the biggest and fastest fundraises in the history of Internet companies, fastest unicorn, gold rush and worst bear market, hacks, and mainstream brands launching their own cryptocurrency. All in all, it has been fairly confusing to talk about the future of cryptocurrency with certainty, even for those who are in this space. A lot of people from around the world are skeptical about the next wave of cryptocurrency adoption and how is it going to happen. We figured that a lack of transparency between the development going on in the industry and the end users waiting for the ‘mass adoption’ to happen is the reason for skepticism. So here is an insider perspective on the growth, adoption, and utility of cryptocurrency in the long term. The people and companies operating and building new solutions are sure that this new, highly technical, and hard to understand currency is the next big thing. But many outsiders are looking for reasons around ‘why?’ and ‘how?’ this form of currency will be adopted by the masses. Before we jump into the ‘how?’ and ‘why?’ and the challenges on that path, let’s take a look at some statistics to back that premise. At present, there are more than 2000 cryptocurrencies in the market. All these coins claim to be better than one another and solve some problems in different industries. The sheer number of alternative coins (other than Bitcoin) launched in the last 5 years show us the number of experiments that have undergone in the space. The combined market cap keeps fluctuating, which is a major problem. We’ll talk later about the ‘hows’ of it. Forbes estimated the market to be around $290 Billion, as of August 2018. According to Coinbase, it has reached a user base of around 25 Million users and Binance has over 9 Million users now. The adoption has not been a problem in the trading space as the numbers can tell. In the last couple of years, hundreds of online companies started accepting payment in Bitcoins — some popular brands are Namecheap, KFC Canada, Microsoft, Subway, Wikipedia, Zynga (mobile gaming), Bloomberg, and Shopify. This year, on February 14, JP Morgan launched their own cryptocurrency named JPM Coin. They are the first U.S. Bank to launch and support crypto openly. Each JPM coin will carry value equal to one USD and it will be utilized to instantaneously settle transactions using the underlying Blockchain. The adoption by businesses and excitement among the developers, tech evangelists, and crypto experts is not a hollow game. Assuredly, it is not a bubble or a Ponzi scheme either that will die even before it starts to breathe. The existing centralized currency (fiat), the banking system, and political economic forces that govern the creation, circulation, and valuation of money have prematurely optimized the systems. They have also prematurely optimized the technology to give a signal to the end users that it is secure, fast, seamless, and fool-proof, while it is none of that. Optimizing a product to meet the needs without working on technology leads us to a system that is broken but seems functional. At present, the banks charge a hefty fee for sending money overseas. The same transaction costs less than 10% if done using cryptocurrencies such as LALA, Rippple, TRON’s TRX, EOS, Litecoin etc. That is negligible. The cryptocurrency works on a decentralized ledger that we call Blockchain. Just like the Internet, Blockchain knows no boundaries. The transactions are instantly settled peer-to-peer. The traditional banking system still takes around a week to make international transactions involving two different currencies. The cryptocurrency theft, fraud, and hacks are mostly reported as a claim to show that technology is not secure. All those incidents were not a Blockchain hack, but a case of scam and theft to get access to private keys. Privacy keys are passwords that are used to access wallets and accounts on Blockchains and exchanges. The Blockchains are unhackable by design. To alter the older transactions or to make fraudulent transactions, one needs to hack more than half of the computing power that is running the infrastructure. On top of that, the SHA encryptions are the industry standards of cryptography. Cryptocurrencies are the most liquid asset class we’ve invented to date. All the assets can be converted into each other with just one additional transaction. Also, the technological advances like Atomic Swap are making it faster and easier. To get access to the digital currency, all we need is Internet and a mobile phone. In a country like Dubai, where you need to earn a minimum salary to open a bank account or like in all the banks worldwide you need to keep a minimum deposit to keep the account functioning, there is no such barrier for cryptocurrency. While the traditional banks need physical infrastructure and ATMs, the digital cash has taken a route that it’ll never end up in a disconnected infrastructure that the banks are currently in. There are two ways to build products, technologies, and solutions for the future. One way is to predict what’s going to happen by leveraging best of our knowledge and signals to prepare for that. The other way, that is also called the creator’s perspective, is to create a future that we believe is better for all and that is where cryptocurrency is heading. Mainstream adoption is underway, the question is not ‘when?’ but ‘how?’ and ‘who?’. How is it happening? And who will lead the way for brands, banks, and individuals to follow? The utility payment wallets such as Arax, can be used to pay for mobile recharges, DTH and other utility bills. Everyone can now share cryptos with nearby wallet users on the same wallets to instantly exchange cryptocurrencies and make bill payments. Arax will allow its users to avail services such as Prepaid, DTH, and Data Card top-ups and online recharges offered by different service providers across 140+ countries. These payments are secure, fast, and provides a seamless user experience. We will see more such wallets entering the space to fuel the next wave of adoption. If you think that the number of tokens is starting to saturate, you must look at the 100+ new tokens waiting to come to the market in 2019. The surge in the number of tokens will add to the already ongoing experiments and competition to cater to the larger market. The biggest change in the ecosystem will be when the traditional money gets routed to the decentralized platforms. The speculative prizes were how the crypto got the kickstart. But in the long run, it will pick a prize that is based on real value and market forces and not on the speculations by traders. Till now the fiat currency had no competition. The central banking authorities now, for the first time are facing direct competition from the cryptocurrency. This will put a little pressure on the banking system to bring in better functionalities, efficiency, and technological advancements. As a result global banking institutions have partnered with cryptocurrencies like Ripple or created their own to support faster and cheaper transactions. The cryptocurrencies are considered hostile in some countries. The lack of proper regulations and guidelines are becoming a roadblock for banks, exchanges, and wallet companies to enter the digital cash space. The risks for the government and banks are tracking of wealth, taxation, and control over its supply and demand. The older regulations aren’t robust enough to comprehend the new currency. Better regulations that can assist crypto and at the same time make up for its downsides are the need of the hour for a speedy adoption. The volatility and speculative prices make it harder to use Bitcoin as a store of value. Numerous stable coins (pegged prices that are immune to market fluctuations) were introduced to tackle these issues. Many institutional investors and individuals who are interested in the technology hesitate from investing in it because of the unstable prices. A better price control mechanism is a must to hold the trust of masses into the crypto space. People need safety and an authority that can solve their issues when it comes to digital cash. In the decentralized systems, it is hard to track down the defaulters and punish them. Taking responsibility for frauds and reporting them is a tricky role. That’s one of the reasons why national governments do not talk about the regulations openly. Presently, the continuously increasing variety of crypto tokens coming into the market are enhancing our chances of figuring out the right asset type. Just like the ideology of decentralization, the iterations in the market to refine the model of cryptocurrency is decentralized. With every new token, we get a step closer at building the right one. But the overwhelming choices also stand as a barrier. We can increase the adoption of cryptocurrencies if we use a few standard cryptocurrencies as means of payments in various ecosystems. No taxi driver in the world completely understands the intricacies of an engine, yet, they drive cars and trucks every day with ease. That should be the case with cryptocurrency too. The introduction of new wallets and other crypto instruments won’t bring adoption until the users can buy, spend, and hodl cryptocurrencies without having to understand cryptography and Blockchain consensus mechanisms. With progress in development, the cryptocurrencies and fiat will work together, making up for each other’s weaknesses. This is just like the Internet which is everywhere and connects seamlessly with almost all the devices. The cryptocurrencies will be supported by all the payment gateways to make payments and transactions. The digital ownership, loan (credits) processing, utility payments, and cross border transactions are just a few ways that’ll help in reaping most benefits from the technology. In the long run, traditional e-wallets and crypto wallets will become indistinguishable from each other. The cryptocurrency and Blockchain have certainly found its space in the financial ecosystem, but whether it’ll become the ecosystem itself is still a question that only time can answer. As far as the evolution of terminology is concerned, the way ‘chain of blocks’ became ‘Blockchain’, the ‘cryptocurrency’ may become ‘currency’, soon. 5 Types of Cryptocurrency Wallets and How Secure They Are? Increased adoption of cryptocurrency has led to a rise in demand for crypto wallets, the only place where we can store these cryptocurrencies. Having a secure crypto wallet is necessitated by the need to securely save these valuable digital assets. For all the newbies, crypto wallets are of 5 different types offering different services and fulfilling varying purposes at different times. It is essential to be aware of all of them to be able to choose the one that best suits your needs and is the most secure for your cryptocurrency. It is a fact that “one’s crypto assets are as safe as their wallets”. Online Wallets are viewed as the least secure kind of crypto wallets but, they come with some advantages that make them a favorable option for lesser amounts of cryptocurrencies. Commonly known as web wallets or hot wallets, as they run on the cloud can be easily accessible from any device connected to the internet. This implies that internet connectivity will allow you to access, store and transact cryptocurrencies anywhere. Being more convenient, online wallets store your private keys online and are controlled by a third party making them vulnerable to hack attacks and theft. As the name suggests, mobile wallets are accessible by cell phones, stored and run in the form of mobile app. Mobile wallets can be used to make crypto payments with ease in stores etc where cryptocurrencies are accepted. It will become increasingly popular with the greater adoption of cryptocurrencies. Online Wallets also offer mobile versions, but some wallets are designed specifically for cell phones. These wallets are designed to be stored and accessed via single desktop in which they are downloaded. They offer more security than online wallets and are even safer if the computer being used is not or has never been connected to the internet. In the latter situation, these wallets become a cold wallet. These are advocated to be one of the most secure crypto wallets present at the moment. The private keys are stored in a tangible device like a USB drive, however, it doesn’t restrict making online crypto transactions. Hardware wallets supporting different cryptocurrencies can be compatible with various web interfaces. These wallets are mostly offline and hence, fall in the category of cold wallets. These wallets perfectly meet all the characteristics of a cold wallet providing a high level of security for the digital assets. As the name suggests, paper wallets are made of, you guessed it right, paper! The private and public keys are printed out physically on a paper. Money can be transferred to the public address of these crypto wallets and the cryptocurrencies can be retrieved by entering the private keys mentioned on the paper wallet or scanning the QR code. The paper can be easily destroyed through fire, tear, etc. Being aware of the various kinds of wallets is necessary if you wish to keep your cryptocurrencies secure. However, some wallets, like the Arax Crypto Wallet offer the benefits of most of the crypto wallets with negligible disadvantages and are best fit for all kinds of investors. Its simple user interface is suitable for beginners who have just stepped into the cryptocurrency realm. It offers a high level of security for avid investors and crypto enthusiasts along with providing multi-blockchain support allowing them to store multiple cryptocurrencies in one wallet. Not just that, even the private keys of the users are kept with them which can be exported to other wallets if in case the Arax wallet stops operating. The cryptocurrencies of users are saved on Blockchain instead of on the Wallet server, keeping them extremely safe and hack-proof. Arax Wallet offers all the advantages of an online wallet without its drawbacks. Arax is a multicurrency wallet that enables ease of control for all your digital assets. Supporting multiple Blockchains, the wallet serves as a one-stop manager to your cryptocurrency portfolio. 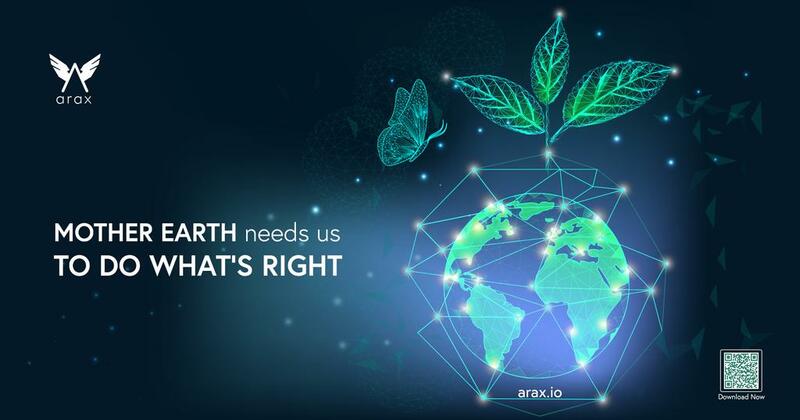 Arax launches its Signature Campaign on Bitcointalk . 2,000,000 Tokens are reserved for the Arax Signature Campaign with weekly distributions. Participate now and win LALA tokens every week! Fill the application form, in order to participate in the Arax Signature Campaign. 2- You must DOWNLOAD Arax App to participate in this campaign. 3- You must do a minimum of 8 posts per week. Less than 8 posts will not be counted. 4- You should not have negative feedback on your profile. 5- Your BitcoinTalk Account rank should be at least Member. 6- You must post in English, other languages post will not be counted. 7- Posts in any campaign thread, promotion or giveaway do no count. 8- You need to wear our avatar (Click to Download- Bounty Thread). The distribution of the tokens to bounty participants will be after the end of the Campaign. 1- To receive your LALA Tokens you have to create a new LALA Address in Arax. The old LALA wallet addresses will not be entertained. 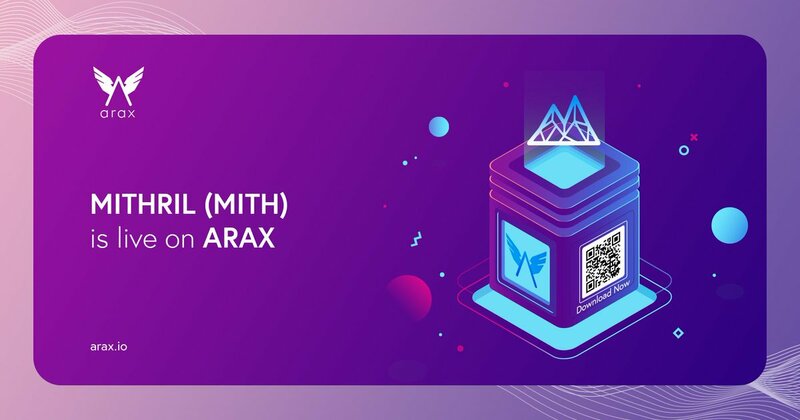 Arax team is excited to announce that all its users will now be able to store a new cryptocurrency in their wallets taking its muti-blockchain support to Eight . As the outcome of the global community vote, we have finally listed the winner EOS on Arax. Since we believe in providing utmost satisfaction to our users and can’t ignore their wishes, we have done our bit to help them store their favorite cryptocurrency in their Arax wallets. At the time of launch, Arax wallet supported 12 cryptocurrencies spanning six different Blockchains and had vowed to add more every month via community voting. Arax already supports Bitcoin, Stellar, Ripple, Litecoin, QTUM, Ethereum, LALA Token, 0X, Binance, Basic Attention Token, OmiseGo, TrueUSD, TRON and now added EOS to this Ivy League of coins. 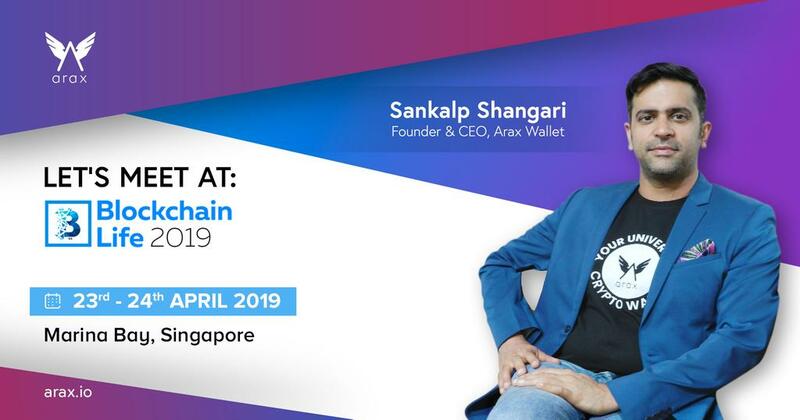 Additionally, Arax offers various in-app services, including, mobile bill payments & recharges via cryptocurrencies, remittance, instant cryptocurrency conversions, send crypto nearby via GPS and single storage to multiple digital assets giving each user true immutable ownership. EOSIO is a Blockchain based software that facilitates the vertical and horizontal scaling of DApps through an operating system-like platform on which these applications can be developed. They aim to provide a complete operating system for decentralized applications by providing services like user authentication, cloud storage, and server hosting. The principle concept of EOS is to create a platform that is an amalgamation of the best features and promises of the several smart contract technologies present in the Blockchain realm. In other words, EOS is building a community that is collectively working towards a mutual goal of providing the world with a single DApp platform for the everyday user, that is both, user-friendly and greatly scalable. Arax aims to bring more such valuable partnerships for our community and continue to serve them. This again is a moment of great joy for team Arax to announce that with the outcome of our voting, TRON is now included in list of supported coins. 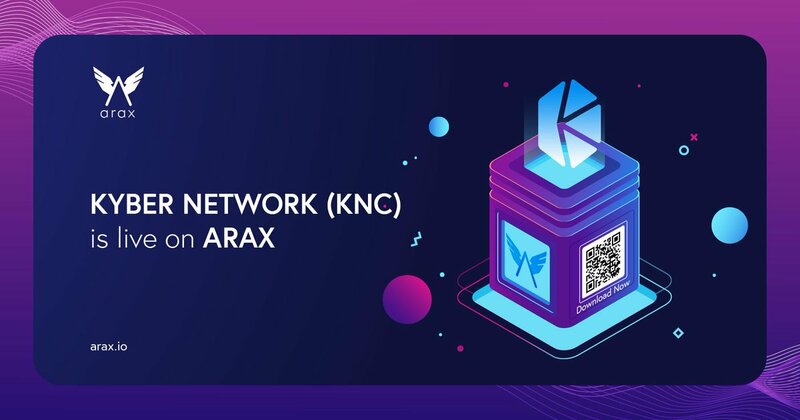 Arax users can now use TRON and other available cryptocurrencies for various in-app services, including, utilities like mobile bill payments via cryptocurrencies, instant cryptocurrency conversions, sending crypto with its star feature “Nearby” via GPS without any fee and single storage to multiple digital assets giving each user true immutable ownership. Since we believe in providing utmost satisfaction to our users and can’t ignore their wishes, we have done our bit to help them store their favorite cryptocurrency in their Arax wallets. TRON is a cryptocurrency of an ambitious project by the same name. It is primarily a decentralized and peer-to-peer content-sharing platform, which is often viewed as the social media outlet of the next generation. This platform will enable content curation and sharing with anyone and from anywhere in the world. Tron focuses on expanding the market of decentralized digital content applications by making it easier to create and deploy them. The Tron mainnet launched Jun 2018, and the Tronix TRX is the proprietary cryptocurrency token of the Tron blockchain. The project currently has it operations in Beijing, Seoul, Tokyo and San Francisco.TRON’s technical personnel and its backbone are Blockchains enthusiasts who have gained their work experience by working with internet giants like Alibaba, Tencent, and Baidu. We have a great news for you all! The results of “Vote for Your Favourite Coin” are finally out and we are adding not just one but ‘THREE’ of your most voted coins in Arax wallet. The respective communities really made it a close run, our congratulations to the winners! You will now have access to three more sought-after cryptocurrencies that are based on different blockchains, maintaining Arax a truly Multi-Blockchain wallet. We know you are excited to know the new names that will be supported by Arax from this day onwards. As the outcome of our voting, TRON, EOS & BNT are announced as winners of “Vote for Your Favourite Coin” and will be listed on Arax. At the time of launch, Arax supported 12 cryptocurrencies spanning 6 different Blockchains (now 9) and kept the vow made to the community to add more every month via community voting. Arax will now support Bitcoin, Stellar, Ripple, Litecoin, QTUM, Ethereum, LALA Token, 0X, Binance, Basic Attention Token, OmiseGo, TrueUSD, TRON, EOS, BNT and more in coming weeks. 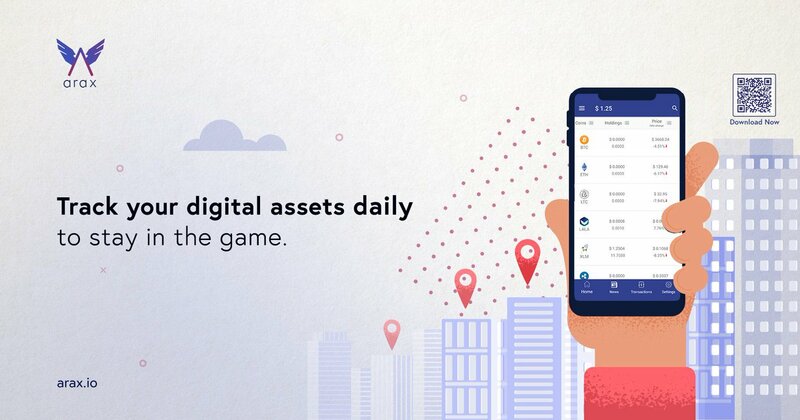 Additionally, Arax offers various in-app services, including, utilities like mobile bill payments via cryptocurrencies, instant cryptocurrency conversions, send crypto with its star feature “Nearby” via GPS without any fee and single storage to multiple digital assets giving each user true immutable ownership. With addition of TRON, EOS and BNT we aim to bring more such valuable coin partnerships for our community and continue to serve them. We welcome you all to experience Arax: Your Universal Crypto Wallet. Why go beta first ? result in the maximum damage for the app and brand image. there is no option to retreat. app is ready and tested a gazillion times, but what if there somehow are a few bugs left here and there. Dilemma of launching the app will continue with no solace.The solution of all these challenges comes in a very simple way: Beta Launch of the App. and there is nothing better than that audience assisting you to mold it the way they actually require. audience, goals and position of the app to achieve in the market. Is launching Beta a disgrace? free app. But luckily, it is not the case. direction and acceptability of your app. Beta testing is much more than what meets the eyes. competitors by releasing something that your users look forward to. identify what the market requirements are and this way, you can make the necessary changes. serve them with the best. achievement. This will also help you find what feature the users prefer more over others. will be mutually beneficial in the future for different projects. for established businesses as well, while the purpose is to serve the users and add value to the industry.